Conventional hockey wisdom says you build a team from the goal out. And, as with other positions, raw talent needs to be developed by the coaching staff. For goalies, the tasks include helping them to perfect their technique and enhancing their ability to compete and win under pressure situations. For sixteen seasons Terrier netminders—including Rick DiPietro, Sean Fields, John Curry, Kieran Millan and Matt O’Connor—have been instructed, supported, cajoled and challenged by BU assistant coach Mike Gerogosian to build on their skills, and develop the critical mental aspect of goaltending. An All-New England goalie for Division 2 University of Lowell in the early 1970s, Geragosian has been mentoring goalies for more than 30 years. Before joining Jack Parker’s staff in 1999-2000 (DiPietro’s freshman and only Terrier season), Mike had coaching stints at his alma mater, Princeton and Merrimack. He’s also USA Hockey’s Director of Development for goaltenders in Massachusetts and operates Mike Geragosian's All American Goalie Camps. Geragosian, who instructs more than 500 goaltenders annually, talked with THFB about his approach to mentoring goaltenders. Q—Matt O’Connor attended three NHL development camps last summer and his excellent first half has drawn the further attention from NHL teams. What improvements has he made to his game that have contributed to his strong performance? A— Matt has worked hard on his leg strength on ice with me and off ice with our strength trainer Anthony Morando. This has led to better skating, puck control and arrival time to positioning. Matt also has improved on his readiness and his set position for all situations including the less challenging ones— where sloppy play can lead to tired defense and poor rebound control and eventually goals against. ► Terriers returned to the ice yesterday to prepare for Saturday’s home game against defending national champion Union College. Sophomore Robbie Baillargeon, who missed most of the first semester with mono, has returned to action. 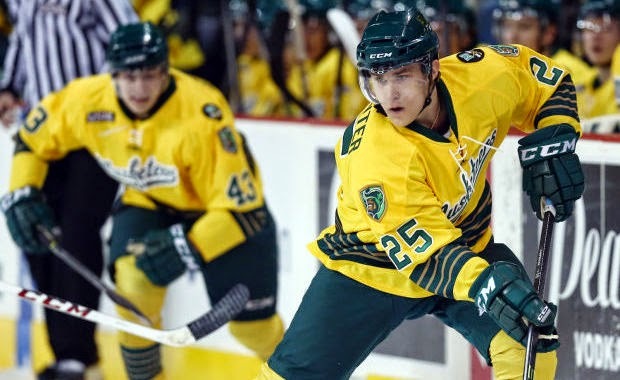 ► From The Daily Free Press: Hockey comes first for BU’s Evan Rodrigues, family focuses on the BU assistant captain and his brother Paul, a Division 3 "Player of the Year" at SUNY Oswego. 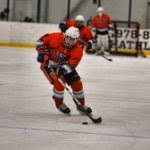 Paul currently skates for the Greenville Road Warriors and is a teammate of former Terriers Sean Escobedo and Vinny Saponari. Team USA won its third preliminary round game at the 2015 IIHF World Junior Championships, blanking Slovakia 3-0. Team captain Jack Eichel was held off the score sheet, but had four shots on goal and won 13 of 22 face offs. ► During the broadcast of the US-Slovakia game, a discussion of skilled US players from Long Island led Dave Starman to gave a shout-out to 2015 recruit Charlie McAvoy from Long Beach, N.Y., now playing for the NTDP U18s. The long-awaited USA-Canada preliminary round match-up is today's featured game with puck drop at Montreal's Bell Centre set for 4 p.m. NHL Network and nhl.com will air the game. A pair of 2015 Terrier recruits, Jakob Forsacka-Karlsson (left) of Omaha and Robert Carpenter (above) of Sioux City, will participate in the USHL/NHL Top Prospects game on January 13 in Dubuque, Iowa. JFK, who previously played for Linköping in Sweden, has been one of the USHL’s hottest scorers the past two months with a 9-17-26 line. Earlier this month, he shared CCM Forward of the Week honors and, in recent games, scored overtime and shootout winners. Carpenter, a Boston Globe All-Scholastic forward who led Austin Prep to last Spring’s Super 8 title game and then attended Maple Leafs development camp, also has 26 points (11G, 15A) and stands second on the Musketeers. Jake Wise, LC, 5-10/170, Fr., Central Catholic, 2/28/00 (Boston University) - There were a few shifts where he looked like a high school version of Jack Eichel. He's got that strong stride that allows him to look like he's coasting even though he's flying out there. He's got good hands and made a few plays happen, but overall didn't have his best game. He did have two assists including a real nice feed on the team's fourth goal in a 5-4 loss to St. John's in the consolation game. Five Team USA skaters, including BU freshman Jack Eichel, scored goals in a 6-0 shutout of Germany in preliminary round action at the 2015 IIHF World Junior Championships. Eichel, who had an assist and a shootout goal in the opening win vs. Finland, scored Team USA’s fifth goal on a wrap-around shot that highlighted his speed and long reach. What an absolute gem of a goal by Jack Eichel right there. Showcased everything there; skill, speed, reach. 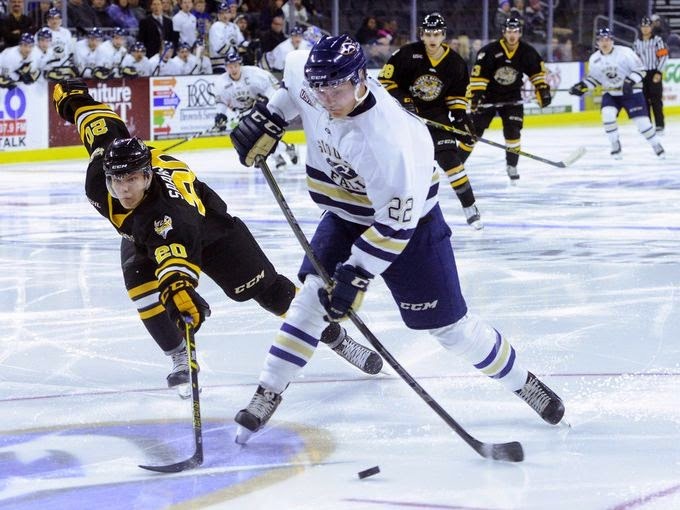 2016 recruit Kieffer Bellows scored twice in regulation and added a goal in the shootout as Sioux Falls edged Sioux City, 4-3. The Edina, Minn., native now has ten goals this season, including four in his last five games. 2015 recruit Sean MacTavish recorded his sixth assist of the season as Waterloo thumped Fargo, 5-1. Former Terrier All-American Colin Wilson was named the NHL's second star of the week after scoring four goals and an assist for Nashville in three games. 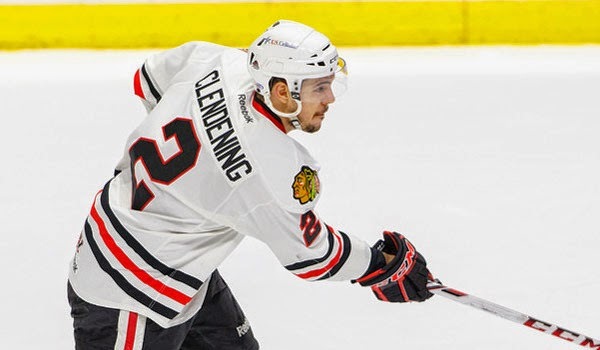 Former BU All-American Adam Clendening assisted on a pair of goals as Rockford doubled up Chicago, 4-2, in an AHL game. 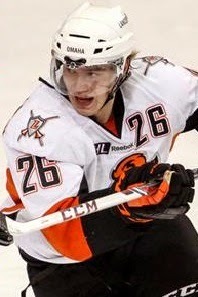 Earlier this season, Clendening had made his NHL debut with the Blackhawks and scored a goal on his first shot.